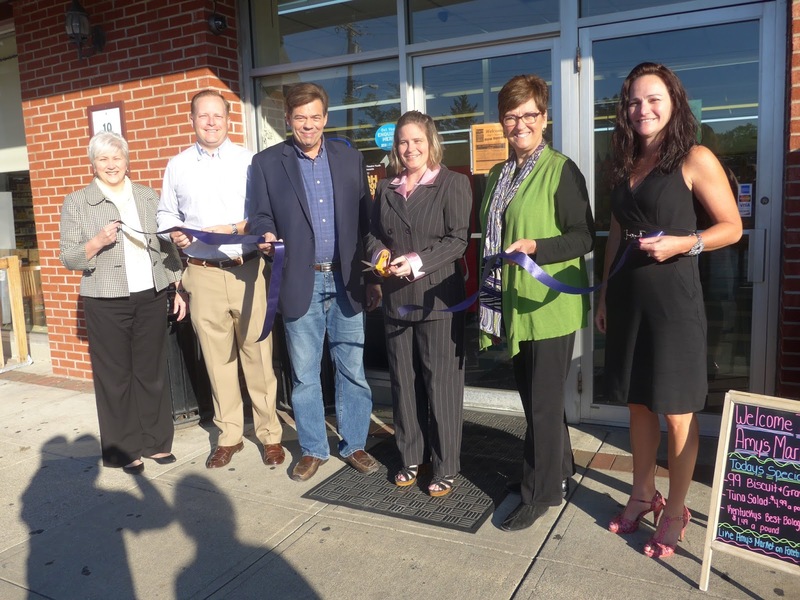 Ann Rittinger, Brian Sand, Eric Haas, Amy Lloyd, Debbie Buckley and Tracy Davis welcome Amy's Market to Fort Thomas. Amy Lloyd was joined by a contingent of the City of Fort Thomas business community today to officially reopen Amy's Market, which has been revamped and rebranded since she bought Convenient Deli Mart last month. A ribbon cutting ceremony was held this morning and she is offering special hot breakfast and lunch deals to showcase the store. According to Lloyd, the name of the game is fresh products at a fair price. Today, the breakfast special was $.99 biscuits and gravy. More Specials include tuna salad ($4.99/lb) and "Kentucky's Best" bologna at $1.49.lb. Lloyd said her biggest challenge was getting rid of old and expired inventory. She has the store stocked with fresh products, including fresh fruit and vegetables, bread, eggs and meats. Lloyd said she's trying to fill the void of not having any true grocery options in Fort Thomas. 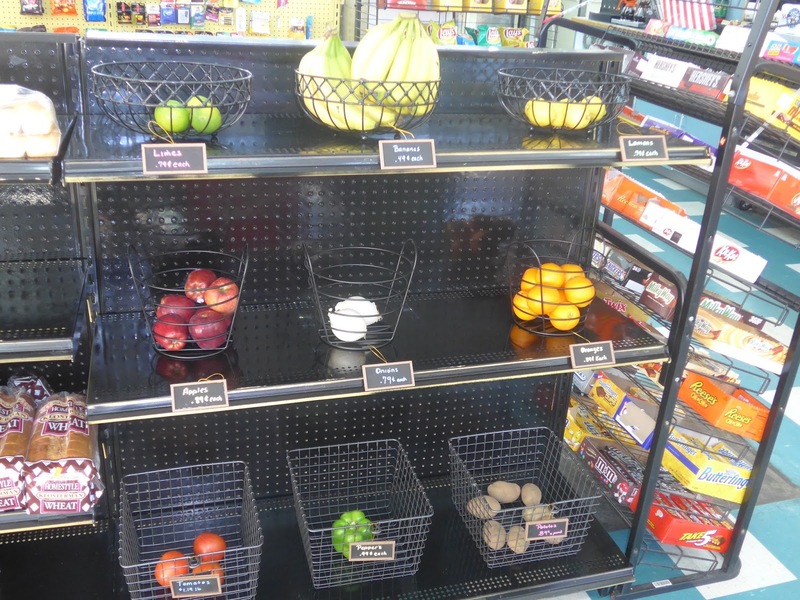 Fruits, vegetables and bread are available now. Her deli counter is now open and she said that she's hoping to attract past customers who may have stopped coming to the Towne Centre for a quick and easy shopping trip. "This store used to be a staple in the community, so that's where we need it to be again. That's my goal, to get it there," she said. "And to bring prices back in line. I understand that this is a convenience store and we can't always offer the prices that a grocery store would, but when there's no other place to go you need a place to grab that random item, you need to without feeling like someone is trying to take advantage."